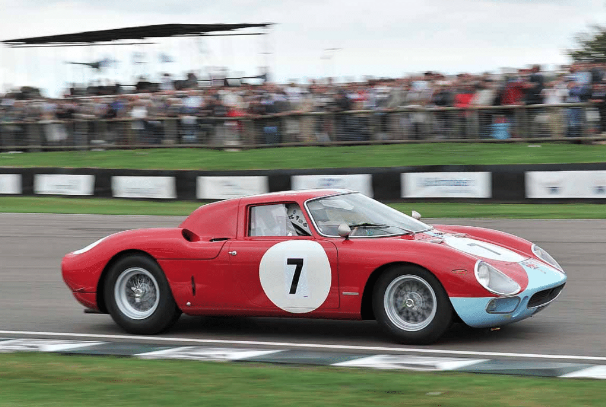 Ferrari 250 LM chassis 5907 was delivered to Ronnie Hoare’s Maranello Concessionaires race team in time for the 1964 season and immediately made its presence felt. Its first race was the Reims 12-hour, which it won with Graham Hill and Jo Bonnier sharing the driving. A few weeks later at Snetterton, Roy Salvadori steered the 250 LM to its second victory, in the Scott Brown Trophy race. In October the Ferrari travelled to the Kylami 9 Hours; yet again it took top honours, thanks this time to the efforts of David Piper and Tony Maggs. For the 1965 and ’66 seasons the 250 LM was bought by Bernard White and run by the Team Chamaco Collect but, despite a driver line-up that included Vic Wilson, Denny Hulme, David Hobbs, Mike Hailwood and Bob Anderson, major wins eluded the team and by the end of 1966 the car’s ‘period’ race career was over. After a brief period of ownership by Richard Attwood at the end of the ’60s, the car was sold to Lord Bamford and returned to the track, with Willie Green at the wheel, for three rounds of the 1975 Classic Car Championship – two of which it won. This magnificent car then led a quieter life for many years but was back on the track at the 2013 Goodwood Revival for the one-hour RAC TT Celebration race.